Queerskins: a love story, a virtual reality experience for Oculus Touch will be shown in a site-specific interactive installation in the Rice Media Center. 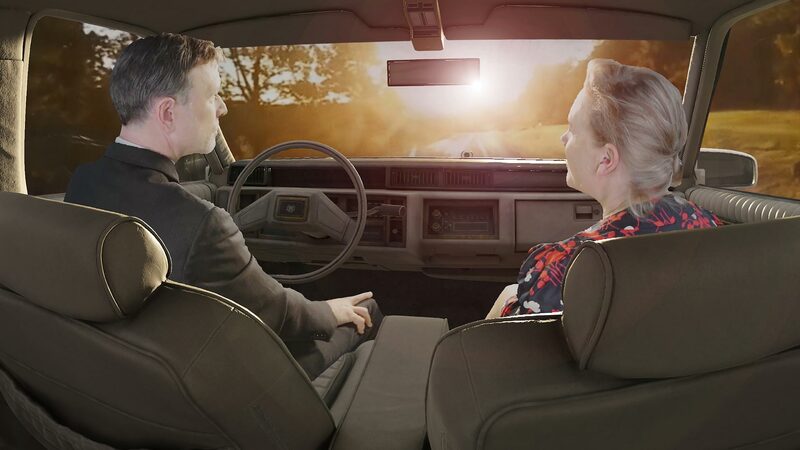 Queerskins positions visitors, wearing Oculus headsets, in the backseat of a photo-realistic vintage 1986 Cadillac Sedan DeVille, behind two the two grieving parents, Ed (Drew Moore) and Mary-Helen (Hadley Boyd). They take a magic realist journey down a country road, a memory lane populated with scrapbook artifacts from their estranged son’s peripatetic life. Visitors are invited to become collaborators in the storytelling as, in the surrounding installation space, they uncover hidden memorabilia, some of which is recognizable from the virtual experience, open drawers, read Sebastian’s diary, write messages on a mirror in lipstick, and play records.